Splatters! 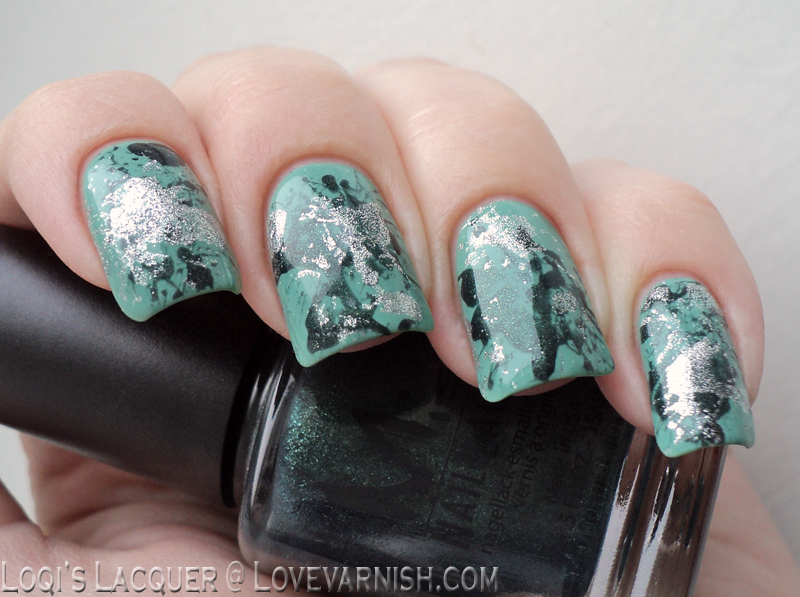 One of the most fun looking nailarts, terrible to clean-up, especially when you use a shimmer or foil like Manon did here. But, the results are always so fascinating! How lovely do these shades look together? China Glaze I'm Not Lion wasn't marketed as a texture, but simply skip topcoat and you'll have this golden textured beauty on your tips! Oh my, I kinda forgot about this beautiful thermal... I need to wear it again! Definitely check out the original post to see all beautiful colors in this one, it's a stunner. A white holo - it's a rarity, because the holo pigment almost always creates a grey wash or won't show up at all. I think this Too Fancy Lacquer shade is quite close to being a perfect white holo! Look at that happy yellow! The dots made the perfect Easter look in my opinion :-). These are some gorgeous looks! I'm really loving What A Girl Wants though, I'd be a great base for some floral nail art or something! Thanks girlie, I think you are right!